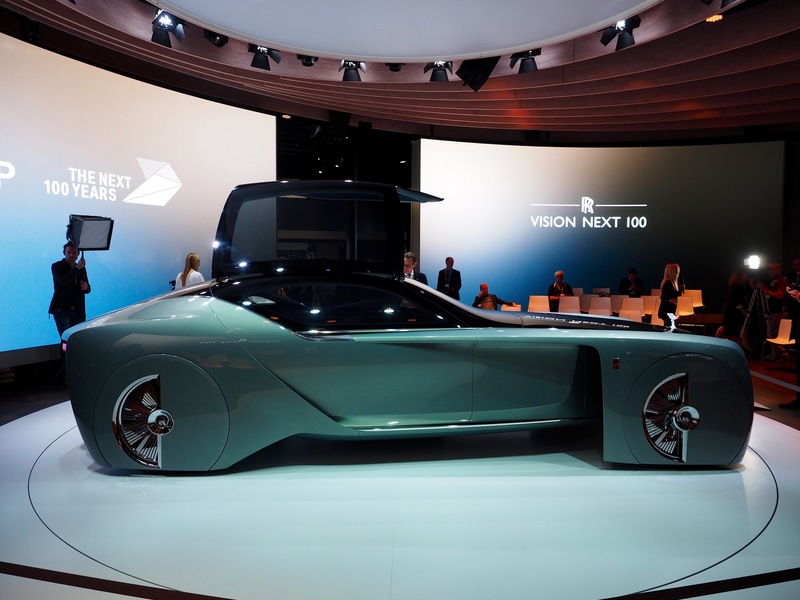 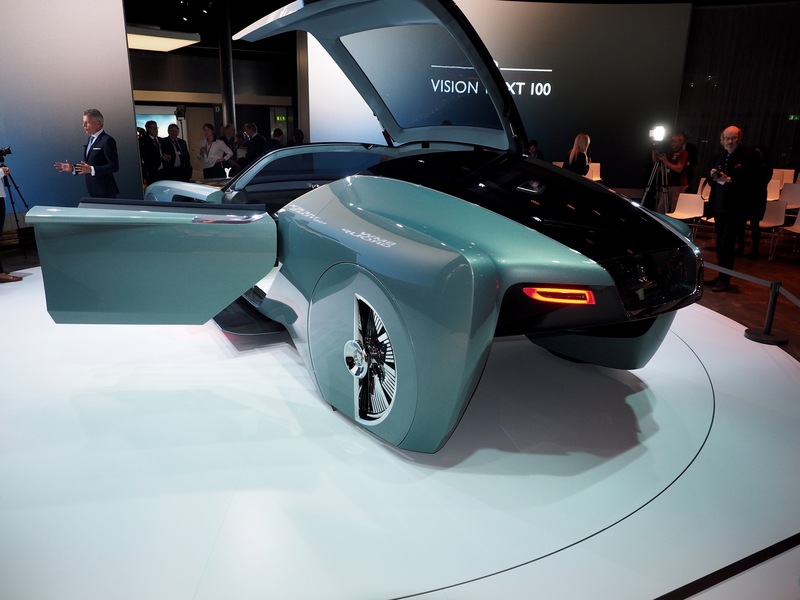 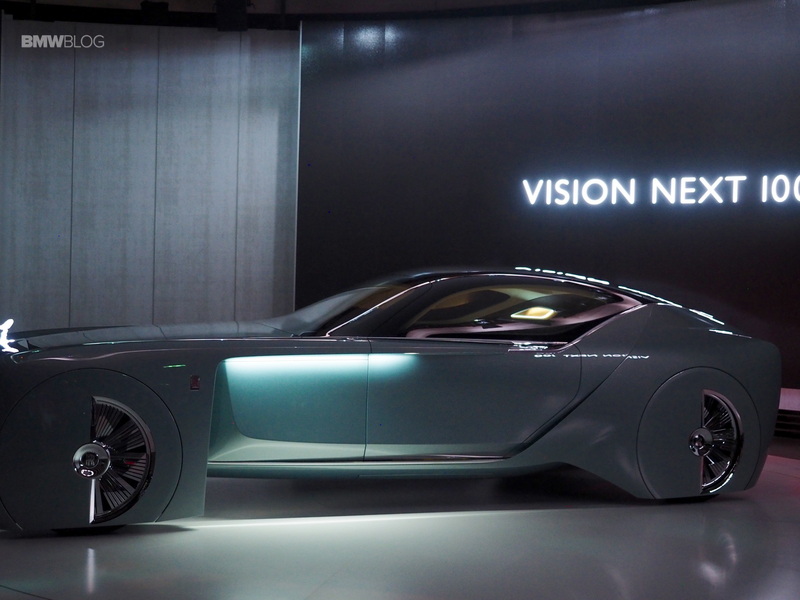 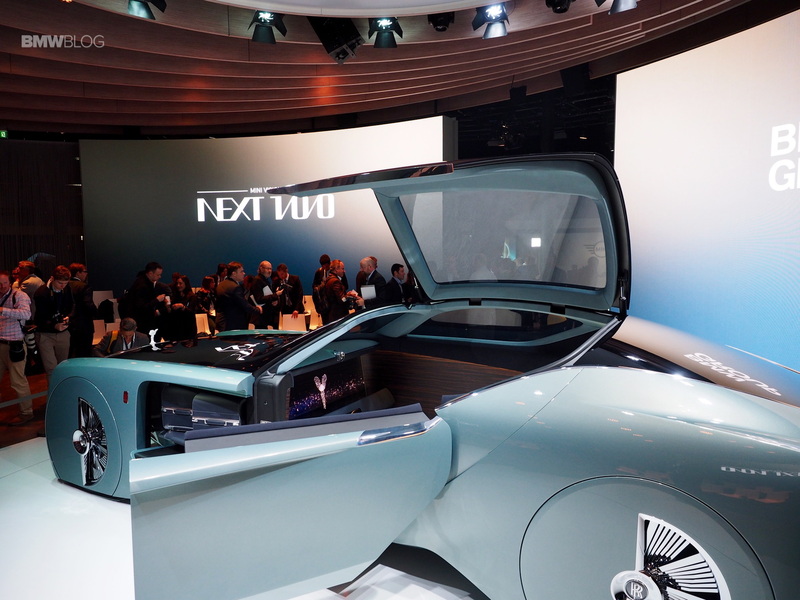 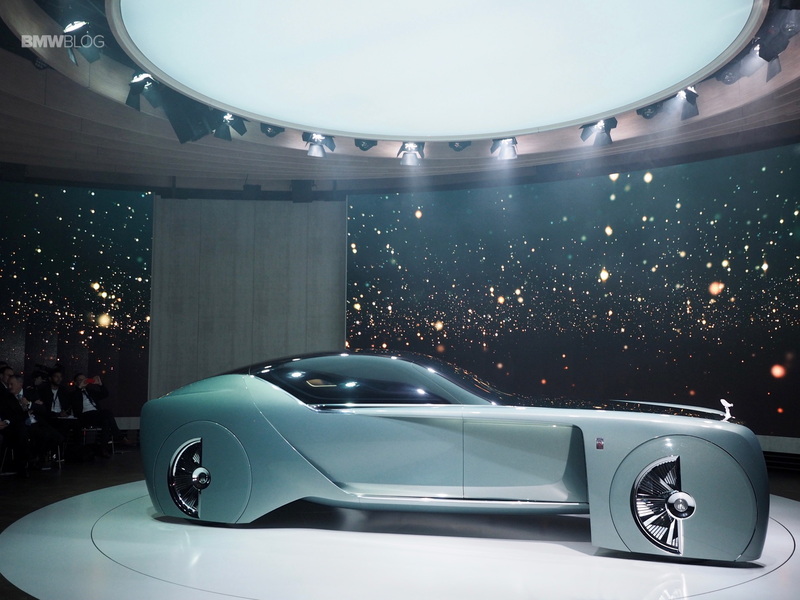 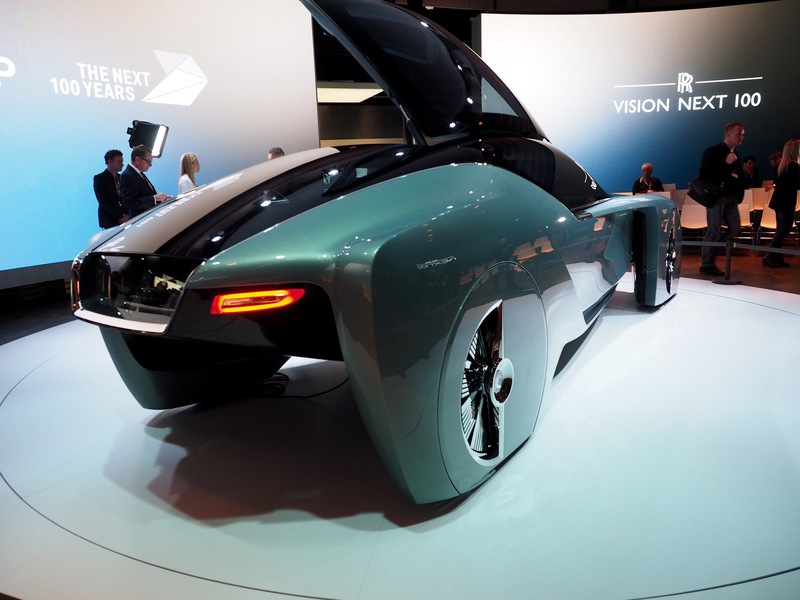 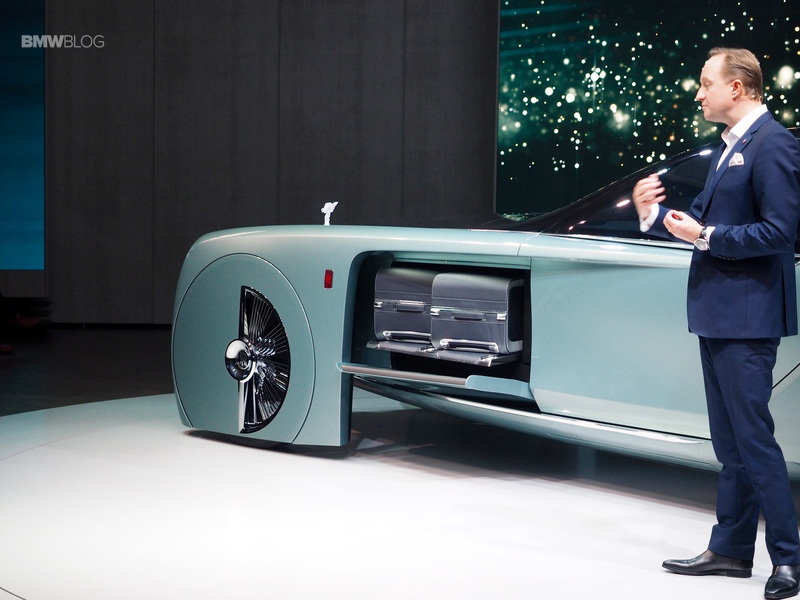 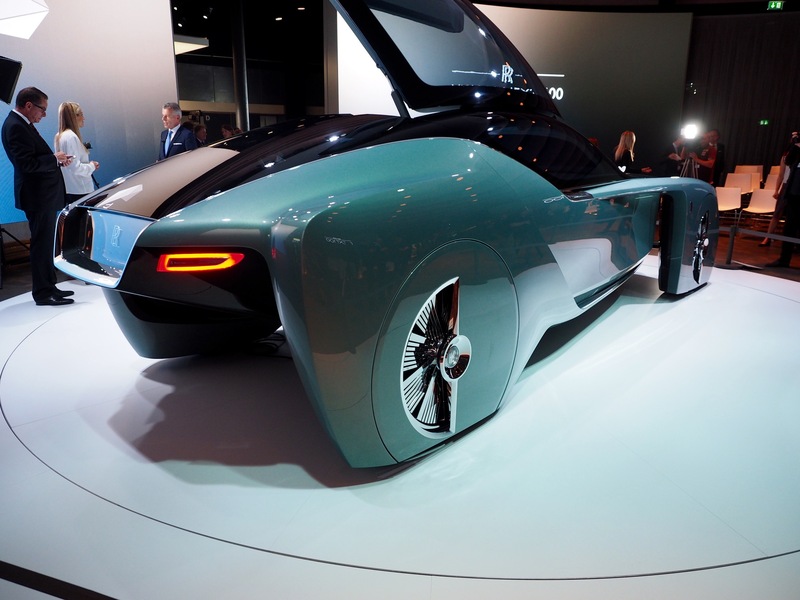 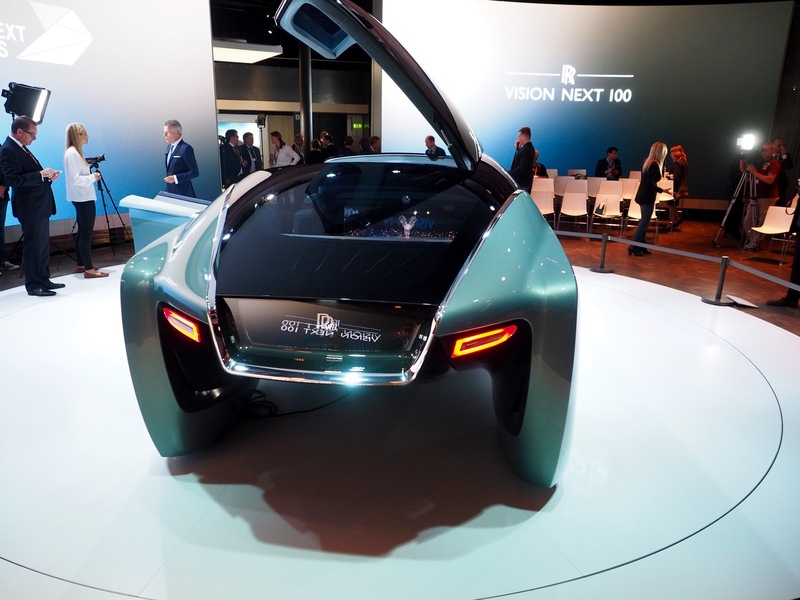 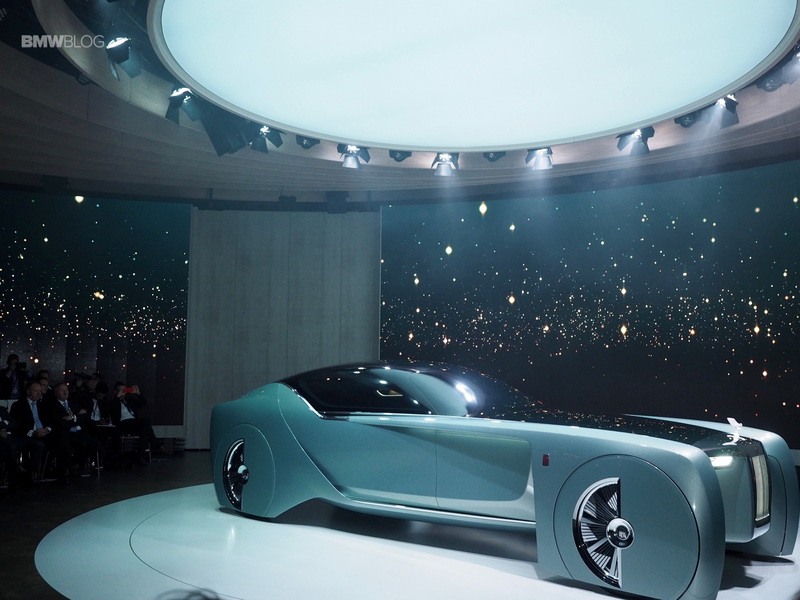 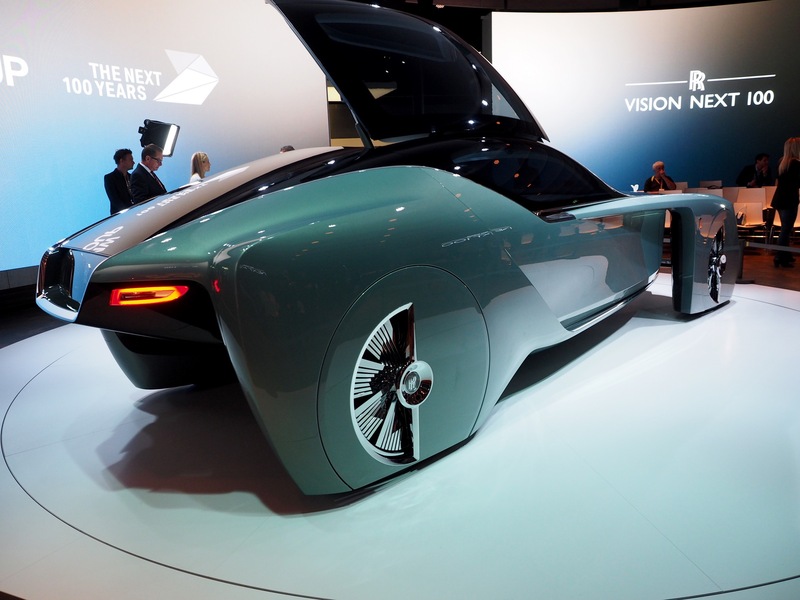 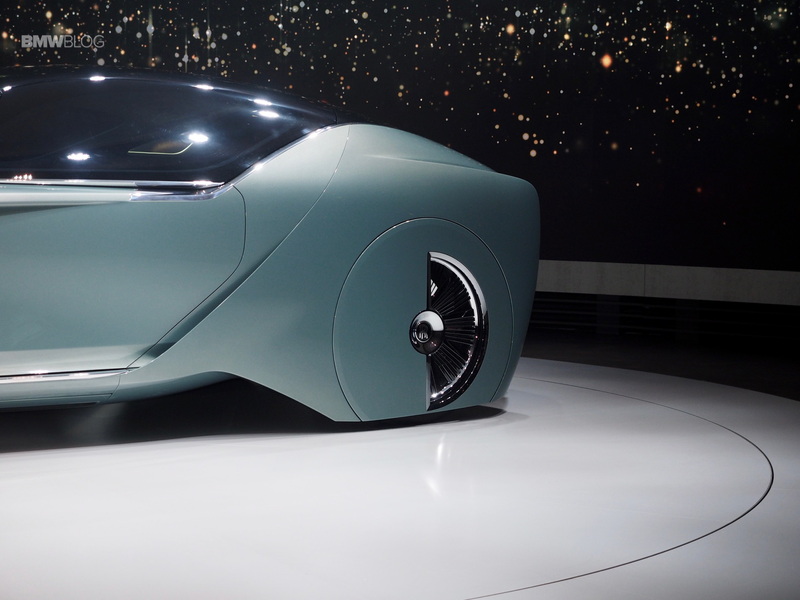 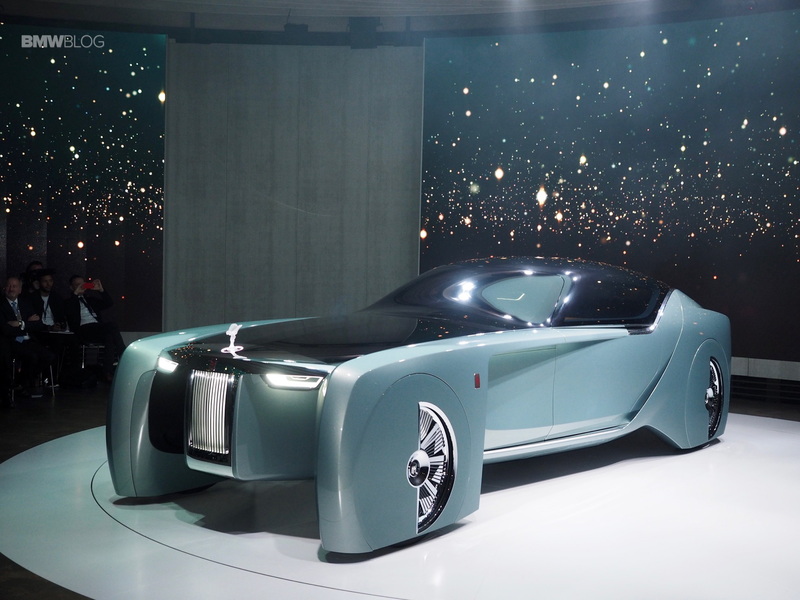 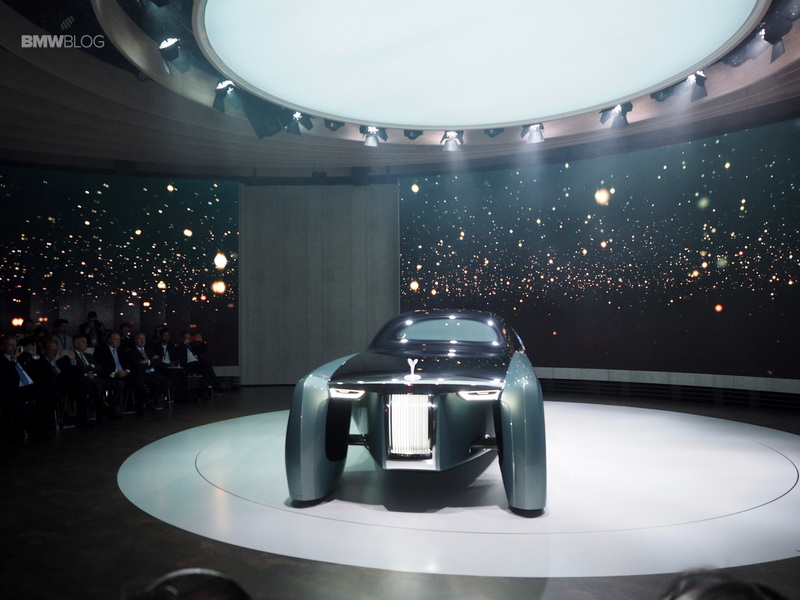 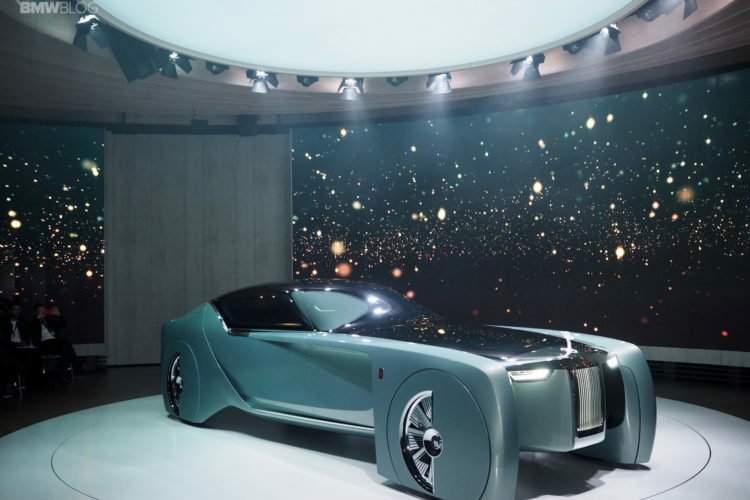 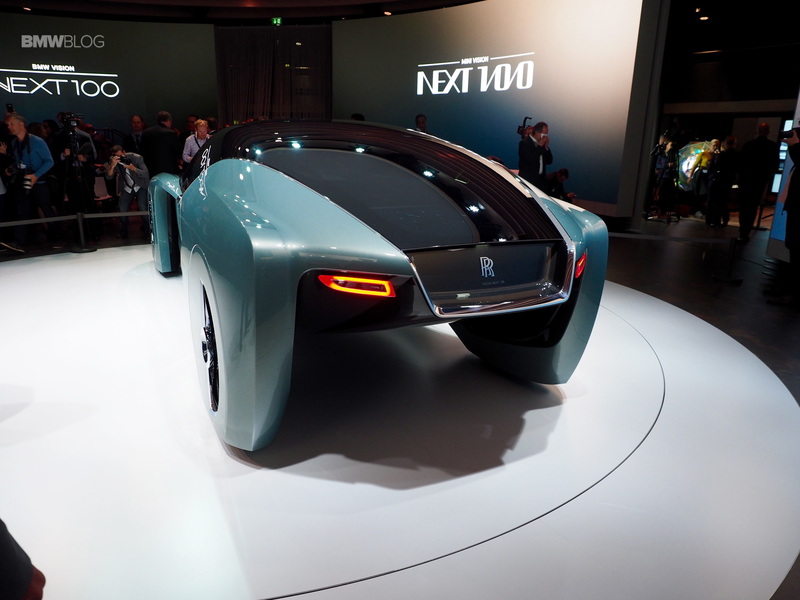 Yesterday, Rolls Royce made some very big headlines by debuting its first ever ‘Vision Vehicle’, the Rolls Royce Vision NEXT 100. 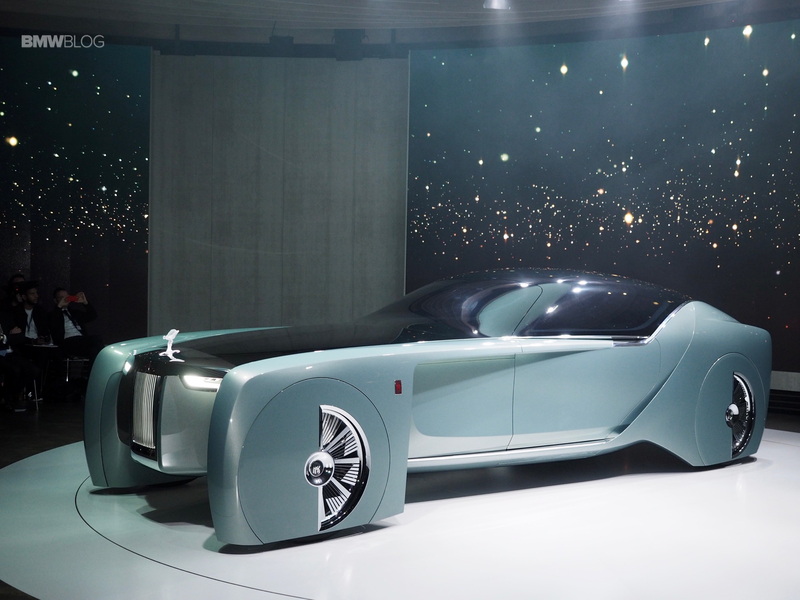 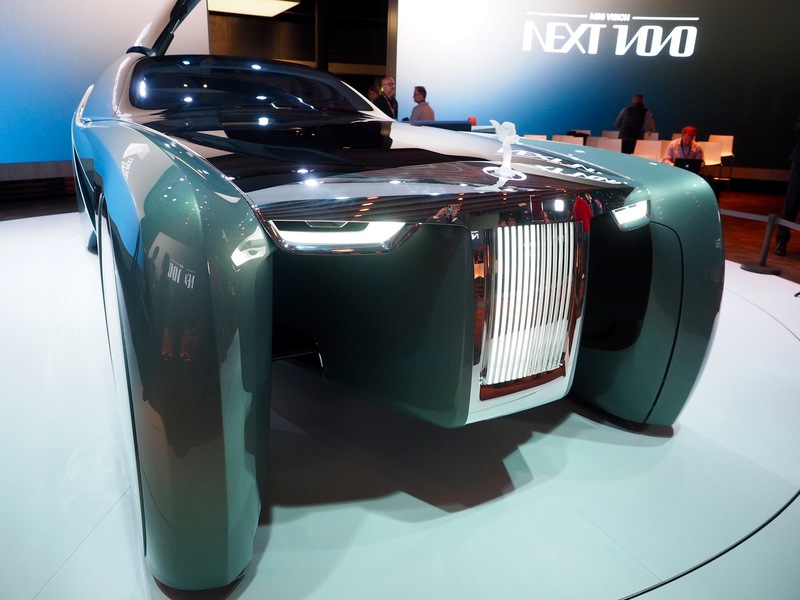 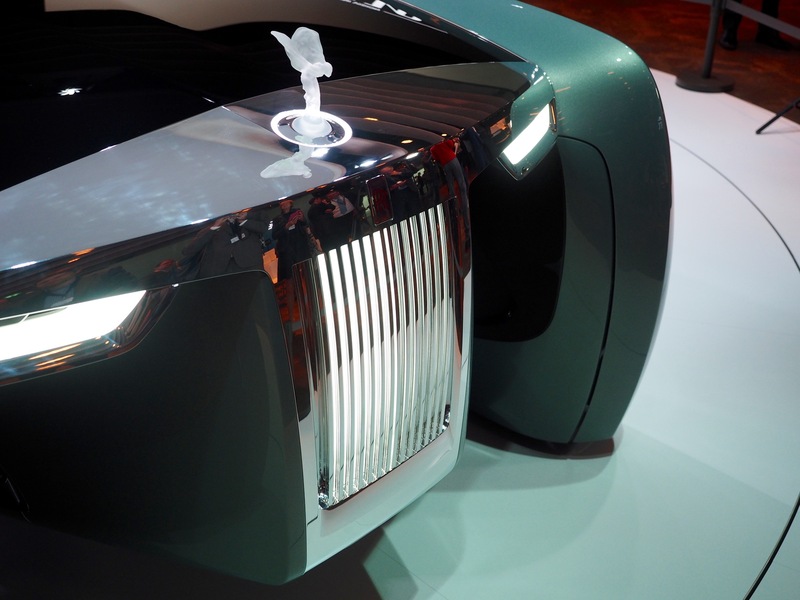 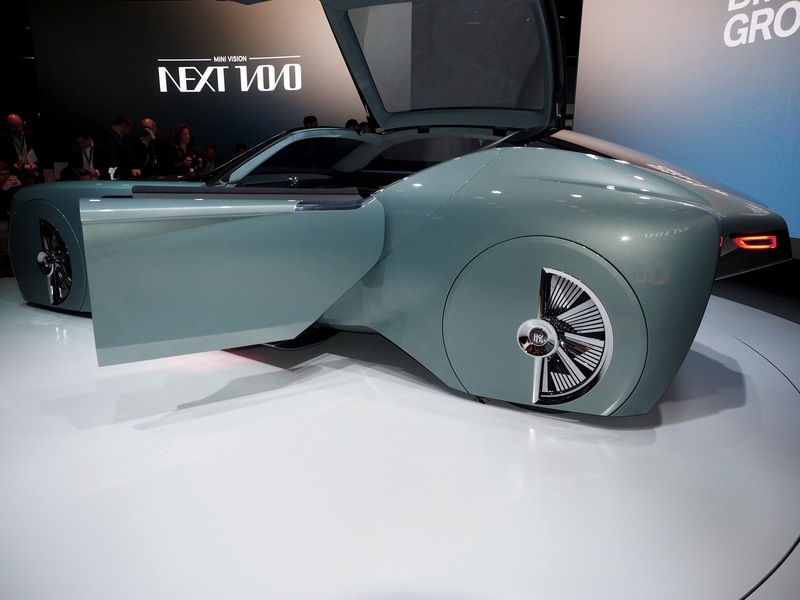 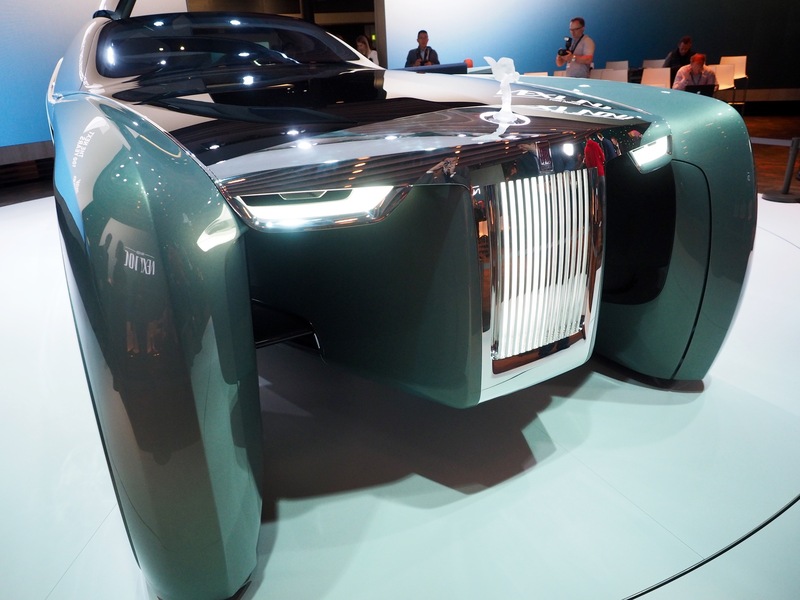 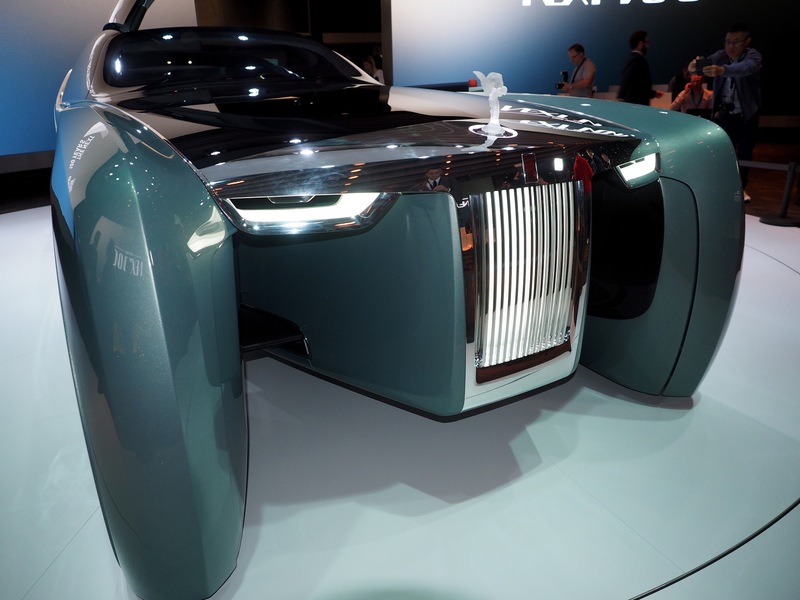 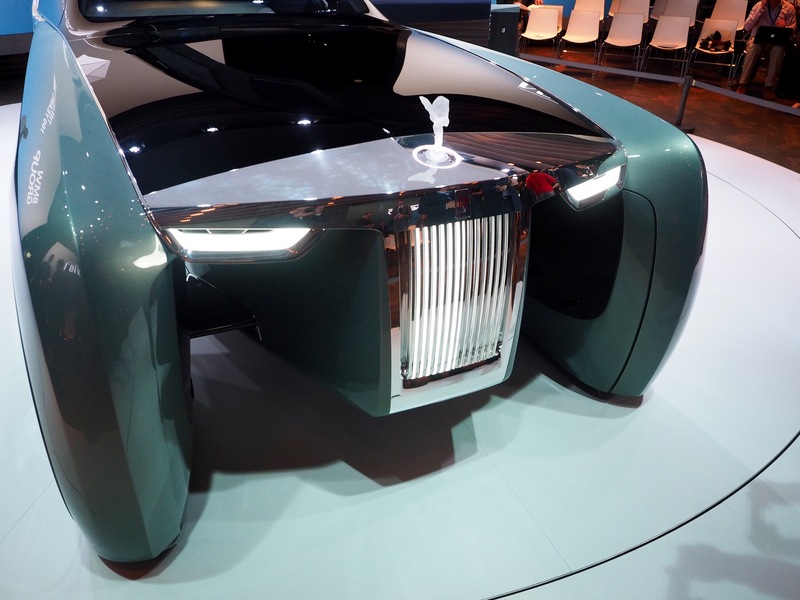 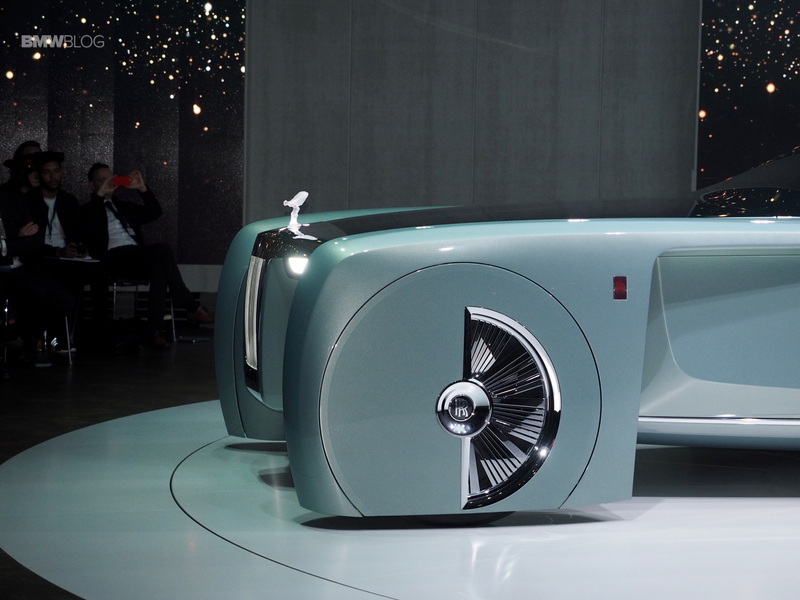 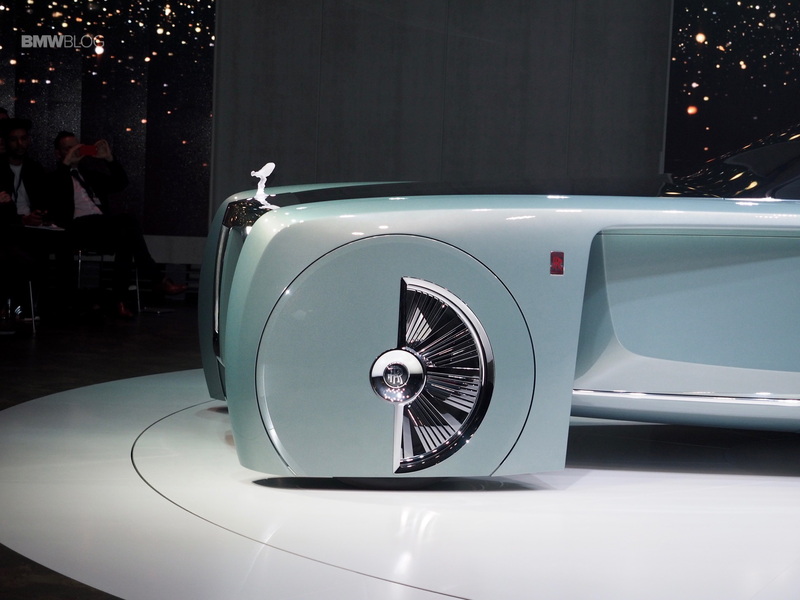 This new Rolls Royce Vision NEXT 100 is the famous British brand’s vision for the future of luxury automobiles. 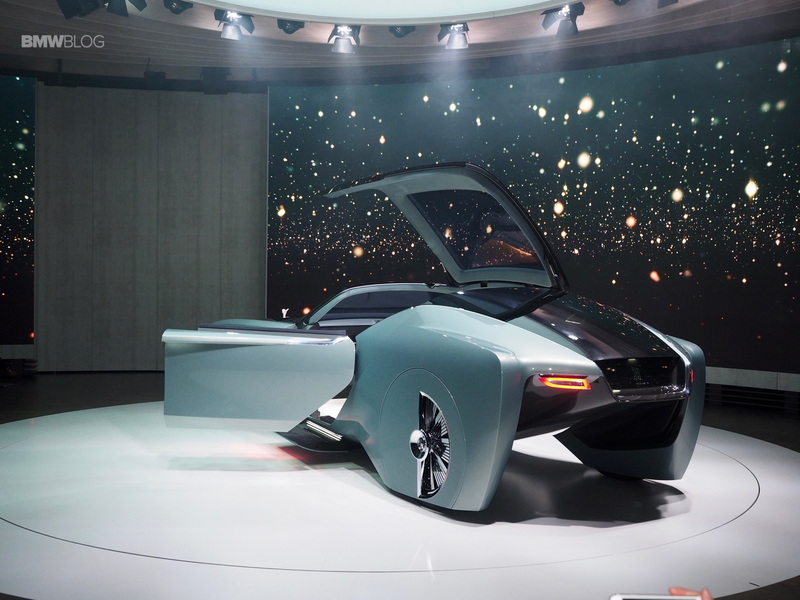 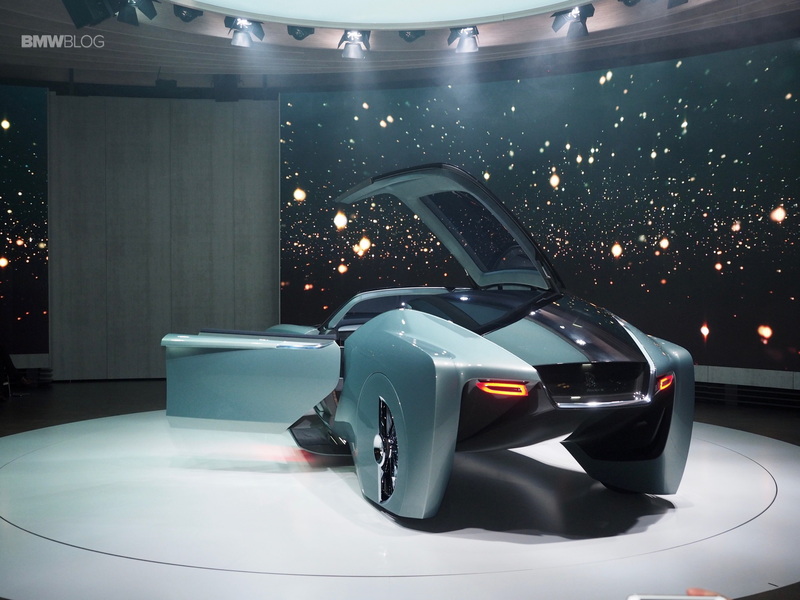 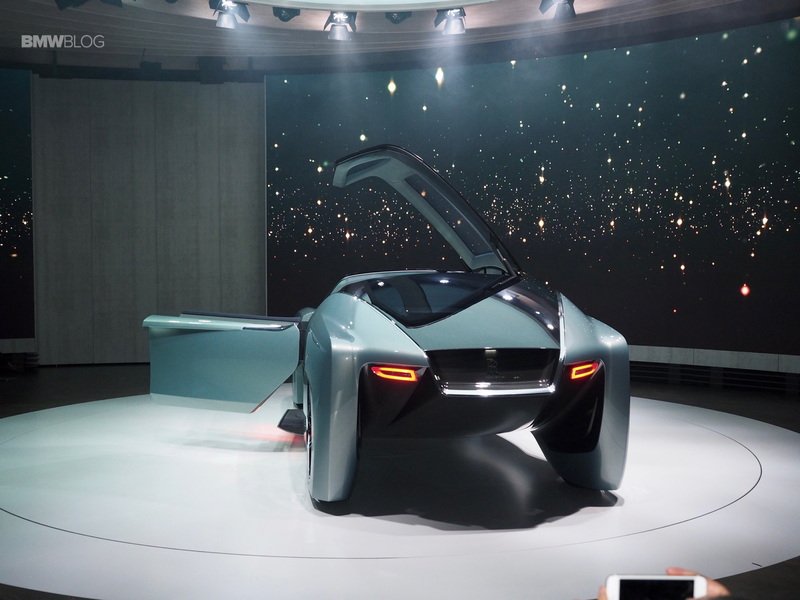 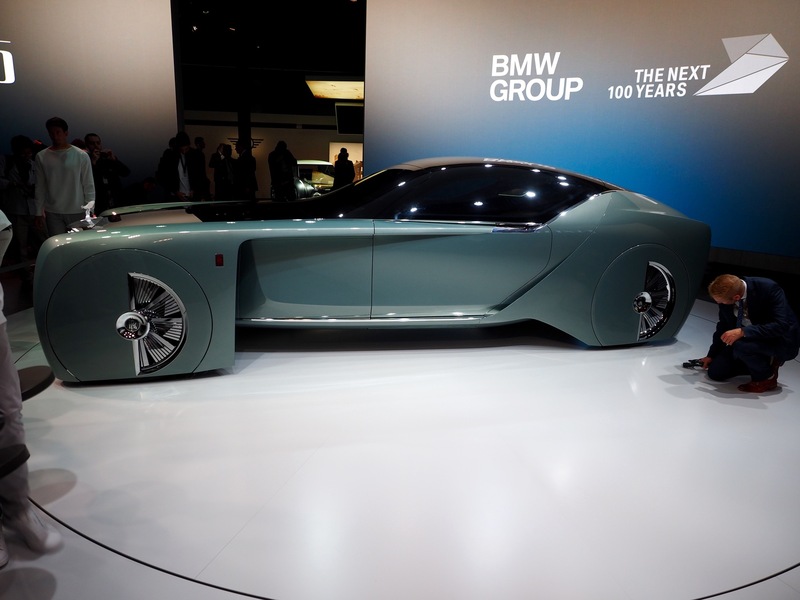 The idea behind the new concept car is to show that the future of electric and autonomous cars does not have to be boring or utilitarian and that it can still have personalization and character. 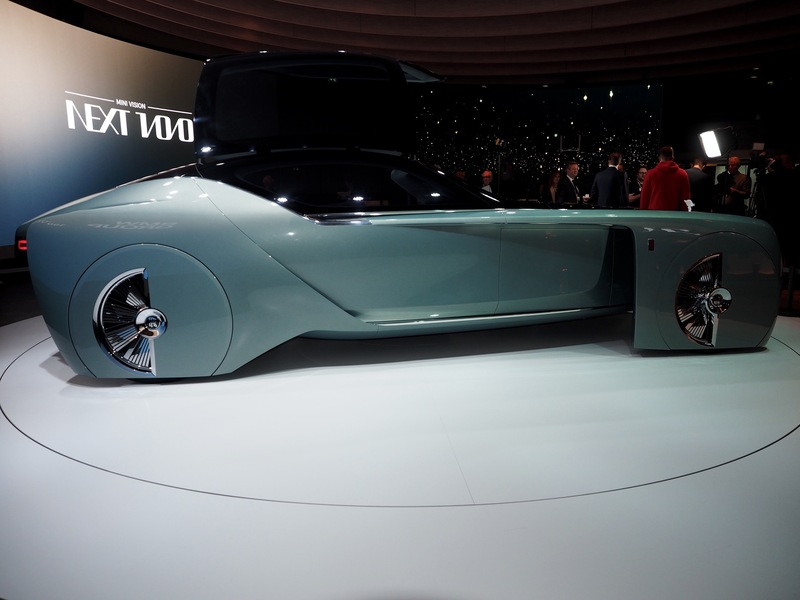 One of the main themes behind this new Rolls Vision Vehicle is to bring coachbuilt luxury and class back to the automotive world. 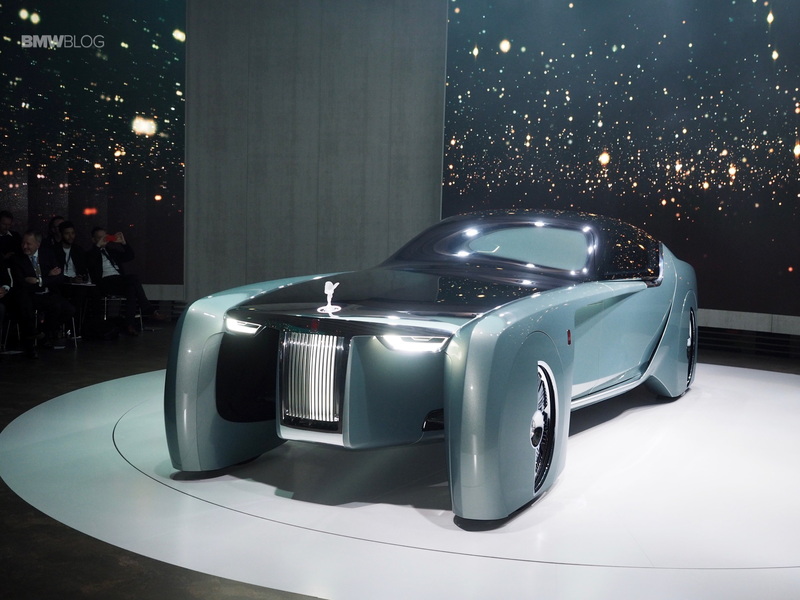 And, while this Rolls Royce Vision NEXT 100 is fully autonomous, without even the option of a passenger taking over, it’s still a very personal vehicle with character and supreme luxury. 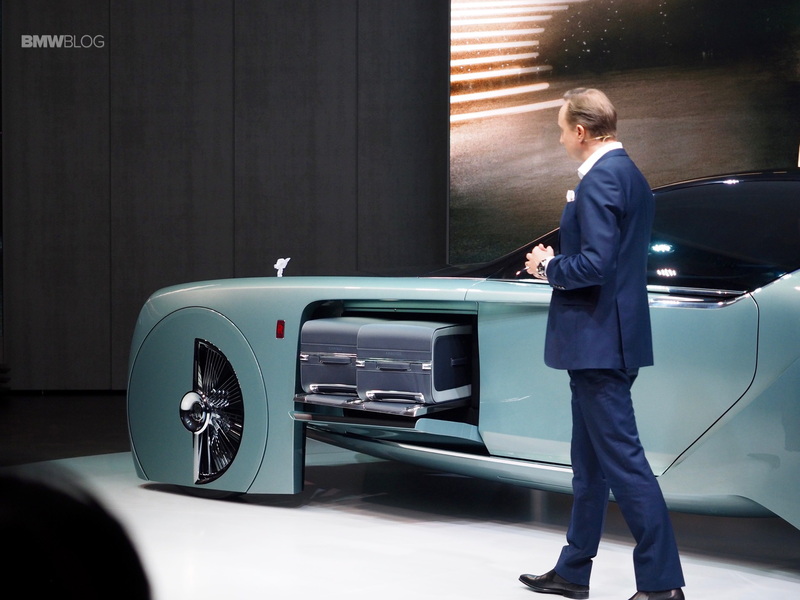 We have some live photos of the first ever Rolls Royce Vision Vehicle, from its unveiling in London yesterday, and it’s a pretty remarkable concept. 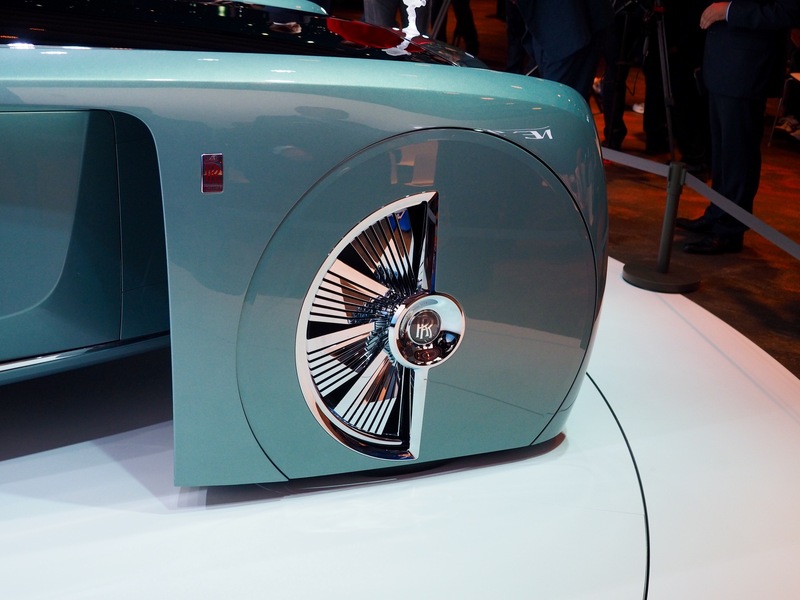 While there are some that love it and some that hate it, no one can deny its eye-catching polarity. 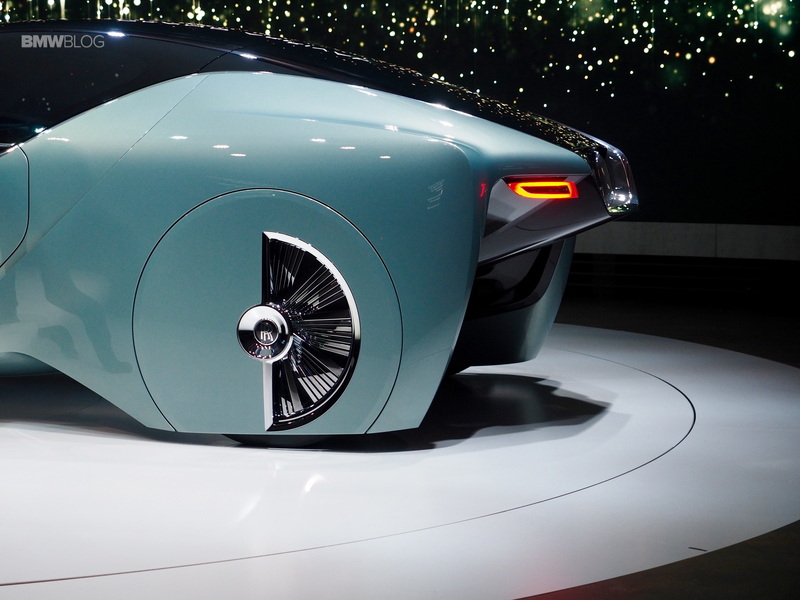 It’s a stunning thing to behold, whether that’s a good or bad thing. 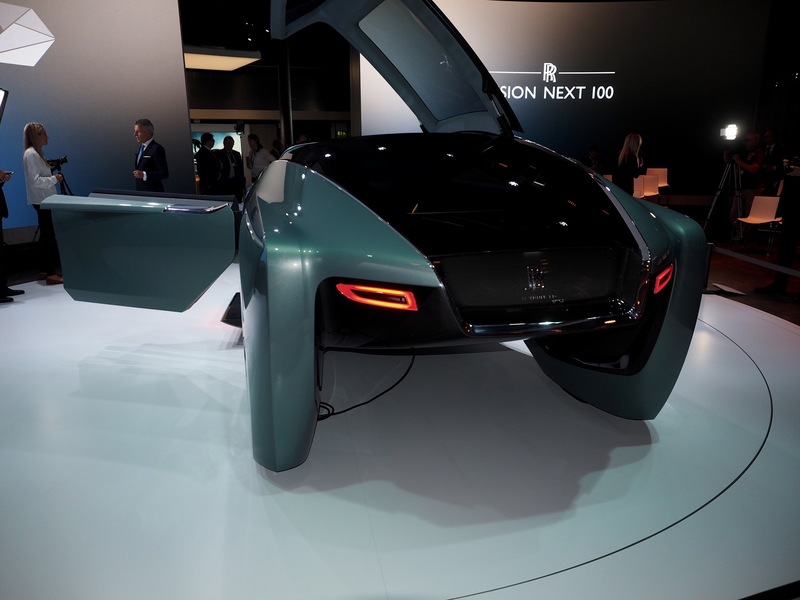 The “floating hull”, its almost open wheel look and power-opening canopy give this concept a look like no other luxury vehicle in the world. 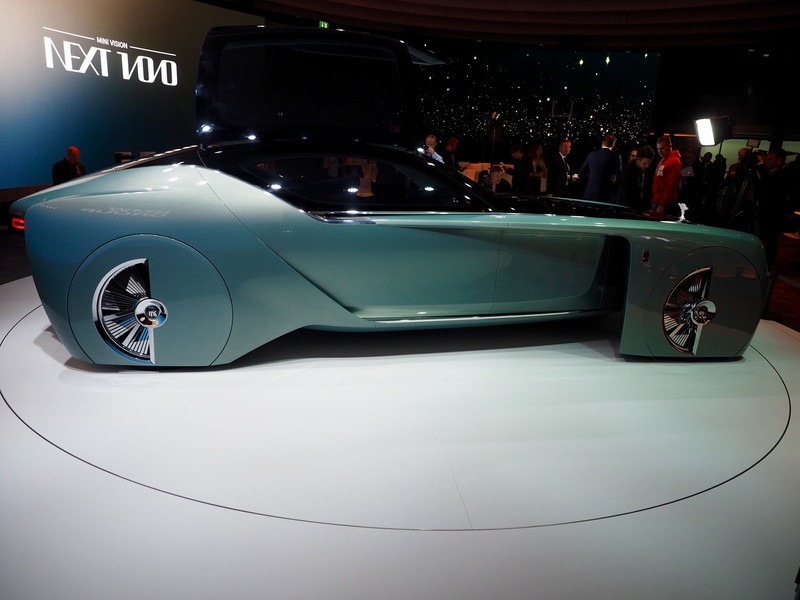 On the inside, the lone sofa occupies the rear of the cabin, and is upholstered in a luxurious blend of silk and wool, leaving ample room in front of its passengers. 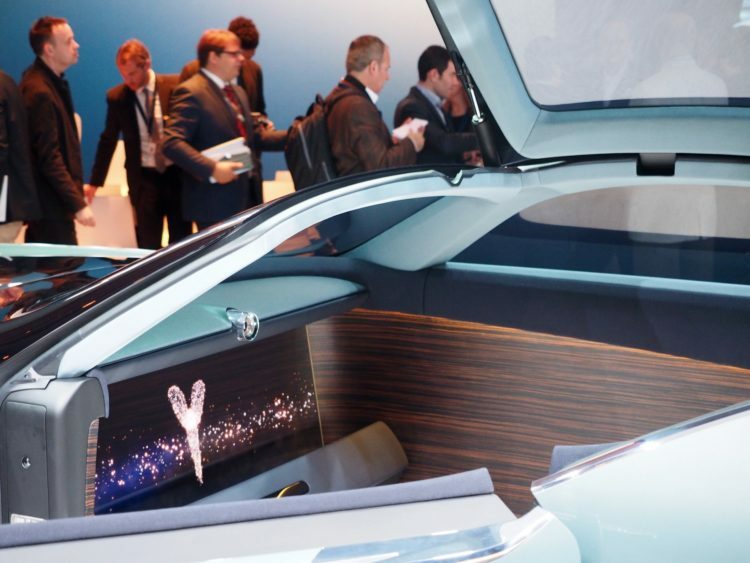 Rich Macassar wood adorns most of the cabin, but a lone high-definition OLED screen dominates the front of the cabin, giving the passengers something to watch and look at during journeys. Interior passengers are accompanied by Eleanor, an artificial intelligence system that acts as the chauffeur and digital assistant. 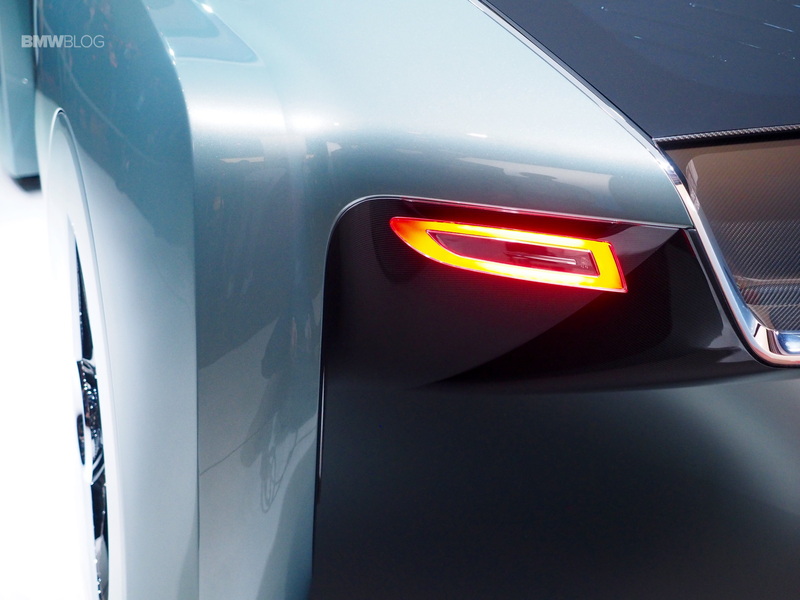 Think more Jarvis from Iron Man than Apple’s Siri. 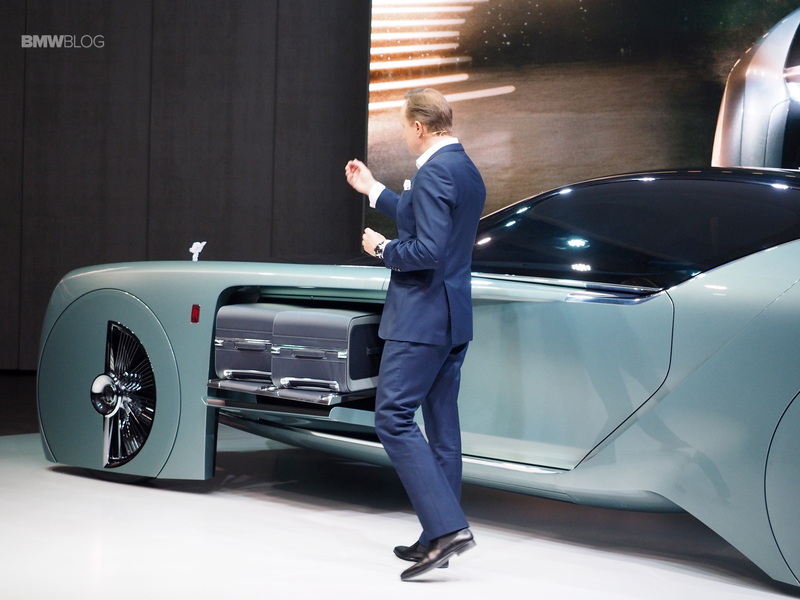 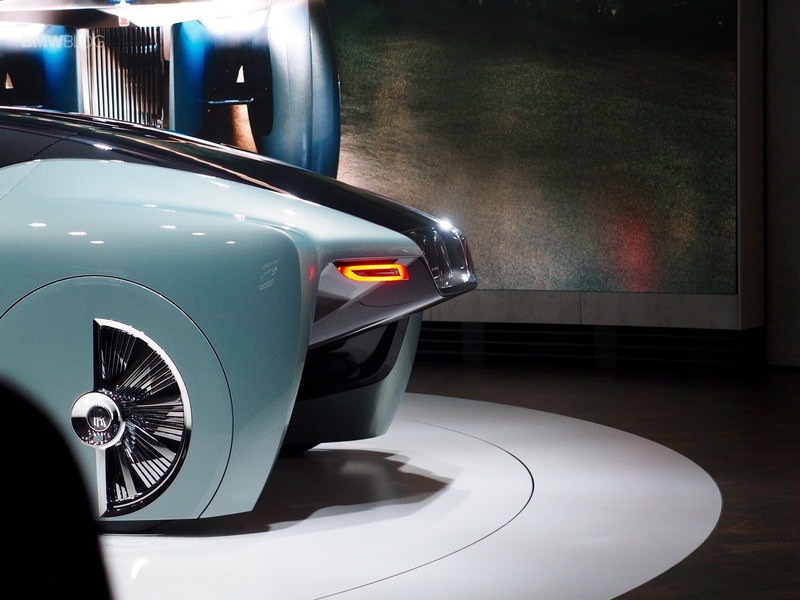 The new Rolls Royce Vision NEXT 100 might not be the prettiest concept in everyone’s eyes, but it is impressive and gives us hope for the future of autonomous automobiles. 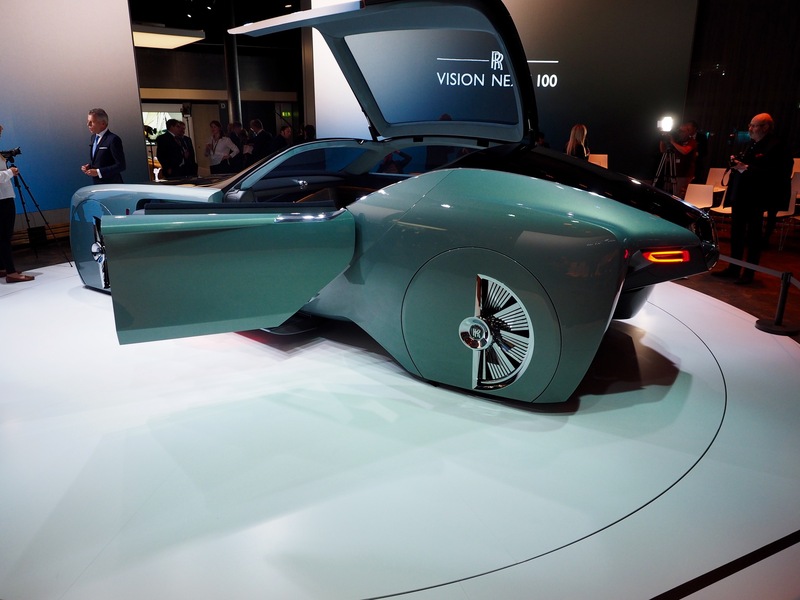 Most automaker’s visions for the future of autonomy, mainly Tesla, seem to view the car as a sort of lifeless pod that takes everyone from Point A to Point B. 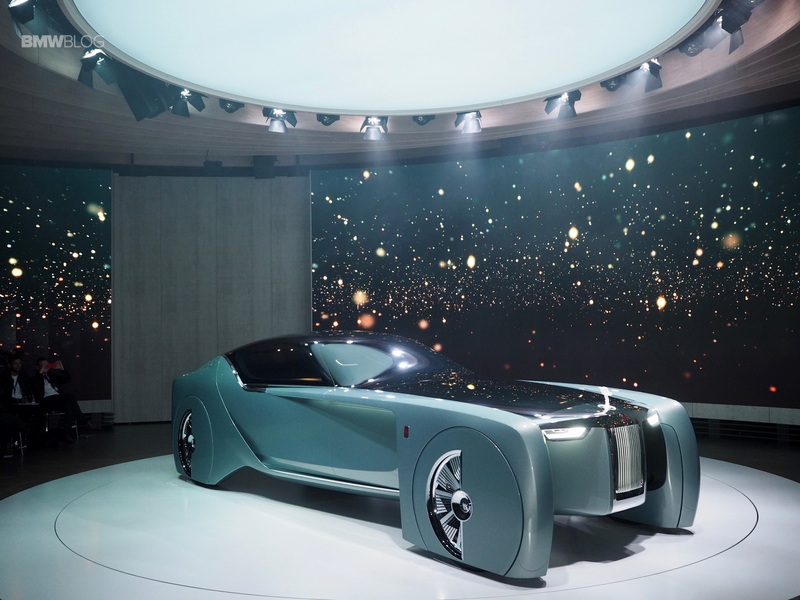 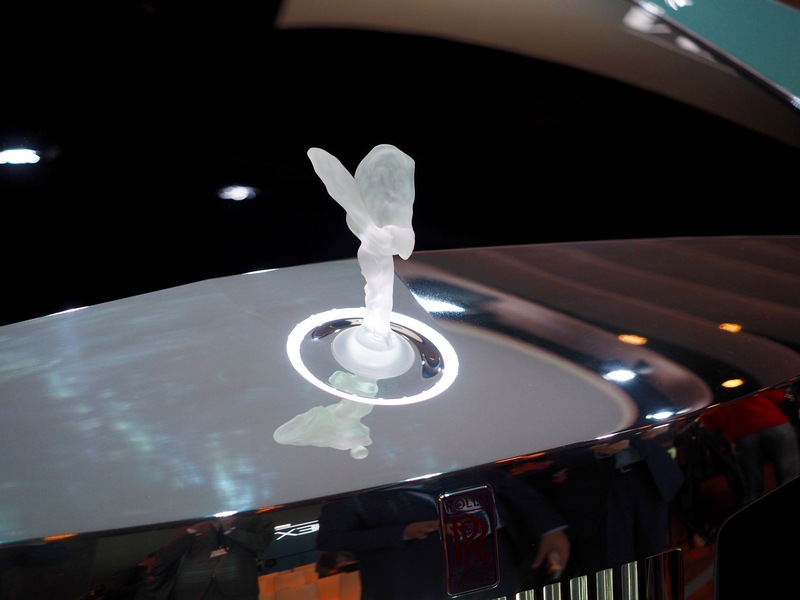 But Rolls Royce doesn’t see the future that way and is looking to create a brighter, more exciting future for the autonomous car. 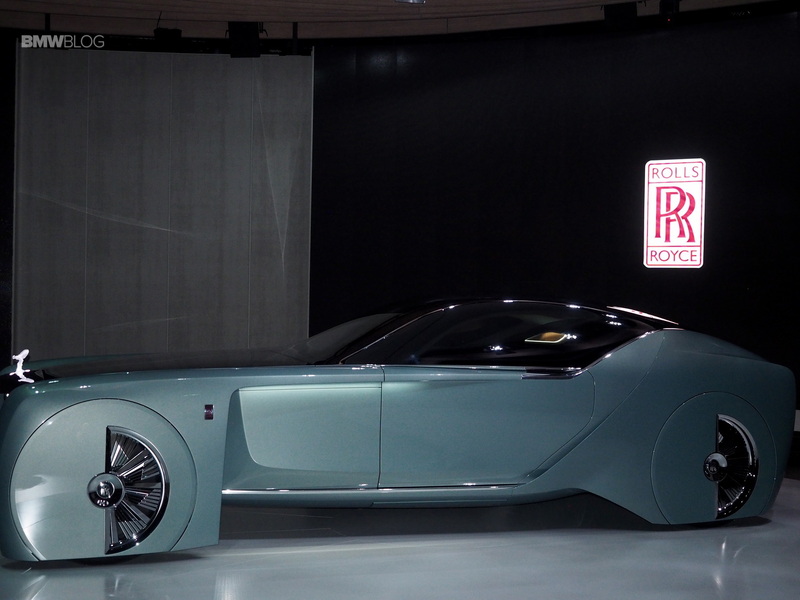 If you can afford it, of course.